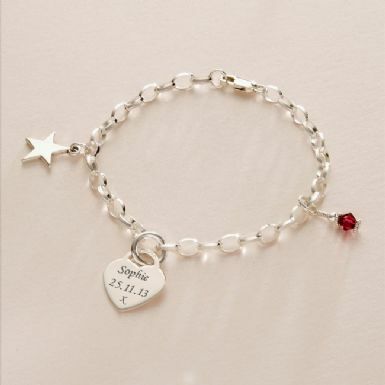 Birthstone, Star and Engraved Heart Memorial Bracelet. This lovely engraved bracelet, made in Sterling silver, is the perfect way to have an ever lasting reminder of the birthday of someone special with any engraving on the siver heart charm and any one birthstone crystal of your choice. 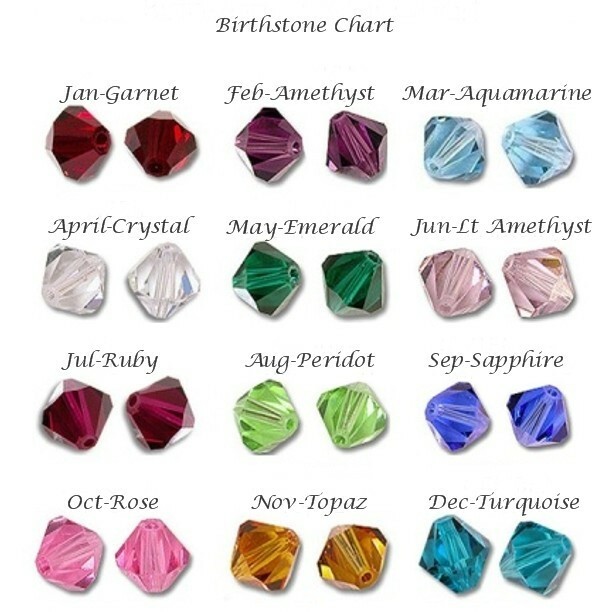 All parts are .925 Sterling silver and the crystal birthstone is made with a single Swarovski Elements crystal, well known for its superb quality and beautiful sparkle. 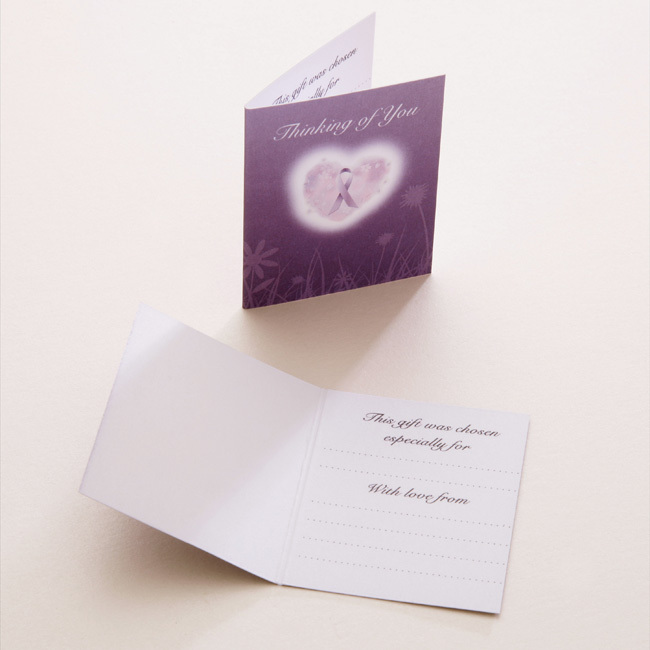 The heart is 16mm x 17mm and can be engraved with up to 25 characters per side (inc spaces). 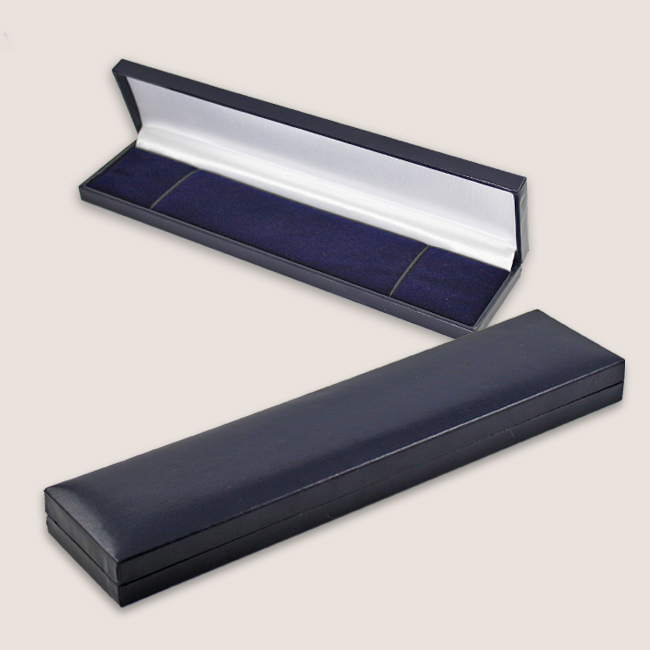 All our jewellery sympathy gifts are made and engraved in our workshop in the UK. Bracelet Length: Our standard adult size is 7.5 inches. Please advise us in the 'Special Requests' box if you'd like this shortened.